Choose from an array of personalised workwear the one that suits your business best. Make the staff look sharp with high-quality printed workwear! Productions for any kind of custom workwear are simple. Not sure about which one to choose? Then, get in touch! ! Our team of experts will be glad to help you out. Or, if you already know what you want, then just get a quote! 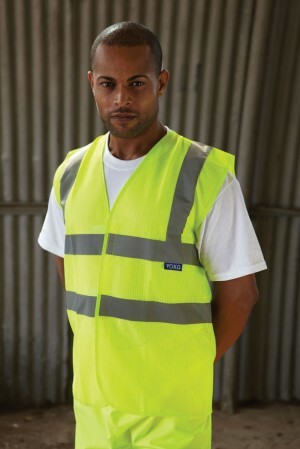 This lightweight hi-vis vest with breathable technology is ideal for an outdoors working environment. Ideal for screen printing and transfer printing, it's a great value for money. A premium oxford long sleeve shirt ideal for corporate uniforms or formal team events. It is available in an array of colours and it's ideal for embroidery. Regatta's full zip neck fleece is comfortable and durable, making it a great value for money. Ideal for cooler outdoor activities and sports. It's suitable for embroidery. 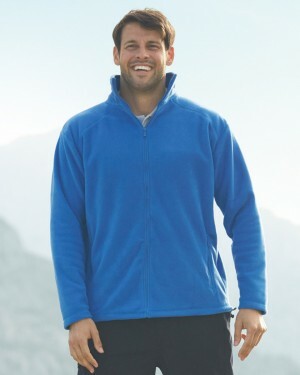 Fruit of the Loom's most popular outdoor fleece has an amazing feeling and an awesome price. 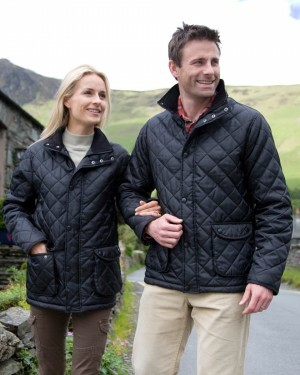 Perfect for cooler outdoor activities and is available in an array of colours. 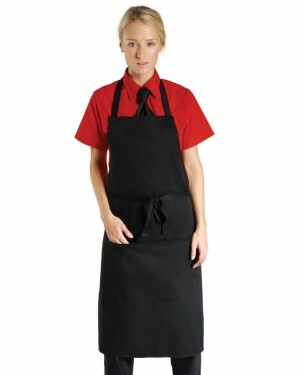 This bleach resistant, low cost option for a bib apron is ideal for events and corporate uniforms. Available only in black. Ideal for embroidery, screen printing, and transfer printing. 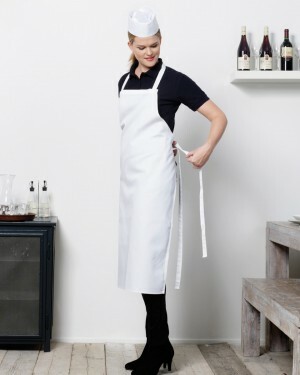 This comfortable and durable Lightweight bib apron is a great value for money. Available in an array of colours, it's ideal for screen printing, transfer printing, and embroidery. This great quality poplin shirt, at an affordable price, is ideal for corporate workwear and uniforms. Available in multiple colours, it's ideal for screen printing, transfer printing, and embroidery. 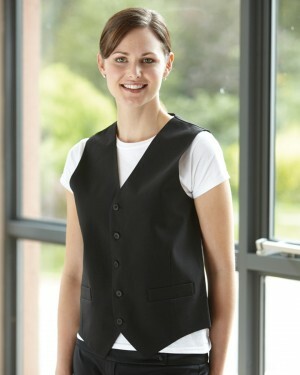 This unisex waistcoat is ideal for events and corporate uniforms. This great-value-for-money item is available in only black and is ideal for embroidery. Many jobs require staff to utilise personalised workwear. The reason why is simple and logical, printed workwear gives a sense of camaraderie, belonging and reflects the image of the business well. The word “corporate clothing” is a little formal and brings forth images of airline crew and the police (who do indeed wear very smart work uniforms! ), but custom workwear can also apply to differently personalised workwear like personalised hoodies, t-shirts, sweatshirts for office workers; fleeces for outdoor employees; and promotional clothing for event staff. In addition, our unique printed workwear includes shirts, waistcoats and aprons for hospitality staff, heavy and lightweight outdoor jackets for staff working outside, and hi-vis jackets for those needing to be seen. Either from personalised T-shirts or any other type of garment, Printsome came here to make things easier for you, like that your satisfaction is guaranteed. Our business model lets us print all over the UK, we offer our services in London, Brighton and wherever you might be in the UK. Are you in a hurry? We have Express delivery on all our orders so that you will receive your personalised workwear within 2-4 days. If you can wait a bit more, you also have the Standard delivery option. It takes just 5-10 days. It all depends on what your needs are. Our collection of distinct workwear garments means your staff will feel comfortable and smart every time they go to work. Wearing work uniforms with a logo gives a sense of identity for staff and shows clients you are a serious, professional organisation, no matter how large or small your business is. Printed workwear is also a great form of advertising, you can have a small logo on a shirt or fleece, or a large statement, website address or slogan about your business emblazoned on the front of a t-shirt, apron or hoodie. It all depends on your message and how you want to get it across. Every time one of your employees wears their original workwear outside the workplace they are advertising your business and this means free marketing for you. Providing employees with smart, quality personalised workwear also gives them a sense that their employer cares, not just about what they look like, but is prepared to pay for their particular clothes. Take a look at our wide range of workwear and consider how your company could benefit. In the case you don’t really know what to choose, let us help you! It’s the main reason why this online T-shirt printing agency exists. At Printsome we have a full team waiting for your questions and needs to give advice on. We are specialists in making your concernings and difficulties go away really fast. We are also very good at giving advice. From our experience with bulk T-shirt printing, in advance, we can say that ordering in bulk is the best option also for your custom workwear. It makes the difference between a well and a badly managed project for two main reasons. Firstly, the price per unit will lower significantly (yes! You knew this). Secondly, it will result in a more consistent quality of your garment because the same production standards you have it guaranteed. And wait a moment because there is a Third point: you will save time, a lot! Have you heard about DTG printing? It’s cheap and easy to produce in bulk, which makes it perfect for personalised company clothes, in some cases it’s better, or cheaper (good to know!) to use different printing processes. It would depend on what are you going to use the garments for: Is it for your staff? Is it for an event? Then screen printing or direct to garment could work. Is it for something more personal? Maybe vinyl T-shirt printing. Our printing experts will give you the best option, just get in touch, we are waiting for you!